When you combine the exotic beauty of the ocean, desert and mountains with architectural creativity and world-class service, Los Cabos appears. It is difficult to imagine that for centuries it remained practically intact, due to the distance from the rest of the country. The architecture of the area has a marked French influence in many of the buildings that began in the late nineteenth century and continued until the mid-twentieth century. Most of these structures had to be substantially modified or they simply disappeared. The first hotels that were built were mainly foreign investments and were influenced by the Californian style of the fifties. They were characterized by thick adobe or brick walls painted white, with wooden window frames and doors, red and orange mud tiles, ceramic floors of various shapes, expansive spaces with high ceilings and religious motifs throughout the rooms. With the passage of time and the demand for new styles and infrastructure, the buildings suffered alterations and only retained a detail or two that recalled the past. 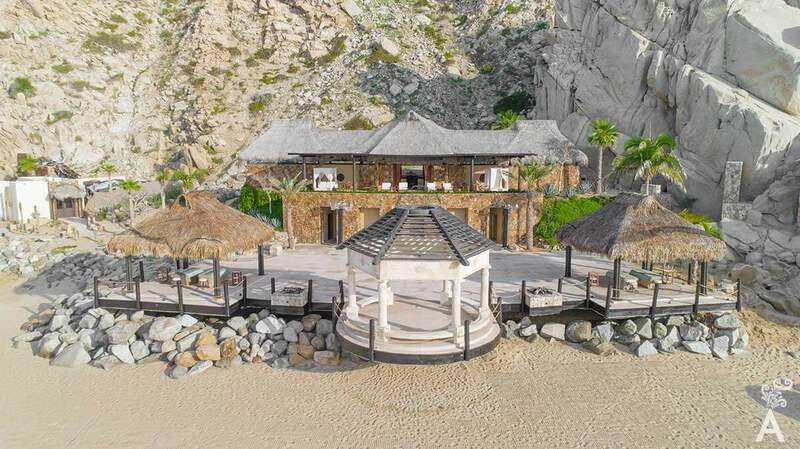 As a result, Los Cabos attracted an exclusive list of politicians, artists and millionaires who traveled to fish or simply get away from their daily lives. It was precisely this type of tourism that later attracted large amounts of capital and motivated the Mexican government in 1976 to develop, through Fonatur, two Integrally Planned Resorts in Baja California Sur. First, Los Cabos contains the cities of San Jose del Cabo and Cabo San Lucas. They were connected to each other through a spectacular 20-mile long tourist corridor constructed in a prime location with ocean views the entire way. Second was Loreto with magnificent tourist potential due to its historical richness and the beauty of the beaches and mountains. 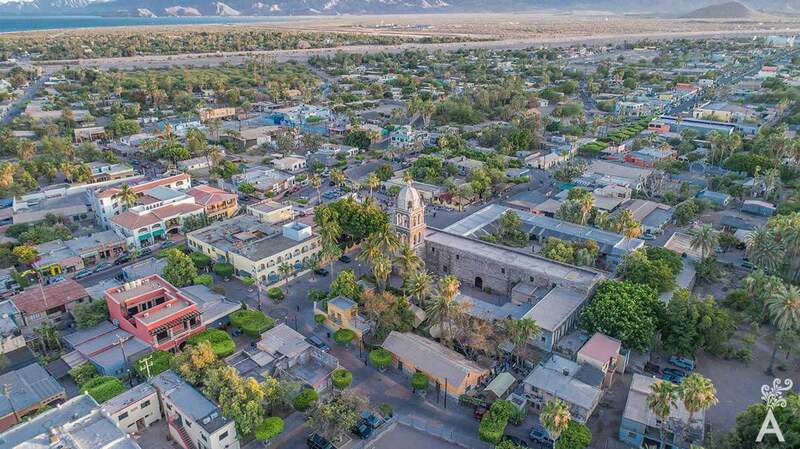 Loreto is located in the center of the peninsula and bathed by the Sea of Cortez, also called the Aquarium of the World by the explorer and researcher Jacques Cousteau because of the great variety of marine species. A Tourist Corridor connects the traditional town of Loreto, the tourist area of Nopolo and the marina of Puerto Escondido. The location’s natural beauty combines sea, desert and the Sierra de la Giganta that create a natural wall. The area is part of the largest marine ecological reserve in the country, the Bahia de Loreto National Park. 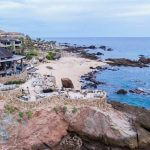 In Baja California Sur, the largest tourism investments and number of hotels were concentrated in Los Cabos. Today, there are approximately 18,000 hotel rooms in operation with plans to continue building and growing beyond the year 2021. Some hotel chains and investment groups are private and their plans remain on the drafting table. It’s a simple fact that the number of rooms is easily surpassed by other destinations in the country and abroad. That is precisely where the secret of Los Cabos lies. There are both boutique hotels and large properties. Although big firms have invested in this area, the average size hotel is between 200 and 300 rooms. It is easy to understand the reasons for the diversity of hotels. We are simply located in a small and secluded area. Everywhere you look, magic is expressed in soaring cliffs, golden beaches, ocean shades that range from green to deep blue, contrasting vegetation and multi-hued sunsets that will make you fall in love. 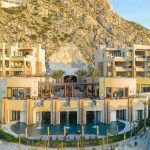 One&Only Palmilla has remained the iconic luxury complex in Los Cabos. The spectacular service has withstood the test of time, thanks in part to substantial investments in remodeling. California style buildings are being replaced by projects by famous world-class architects. The designers emphasize great and spectacular reception areas, decorated corridors, impressive views, contemporary room designs, and construction materials from the four corners of the world. There are examples, such as the Twin Dolphin, an iconic hotel from the 70’s, that was totally demolished to make way for the new Montage project. 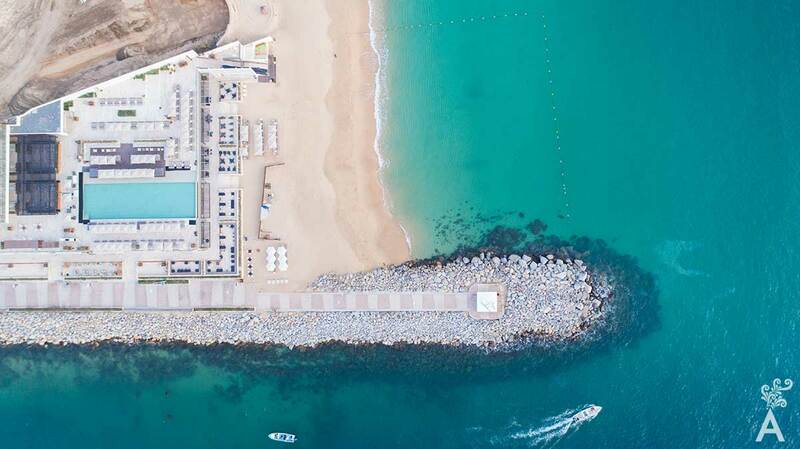 It is important to note that the development is taking place in different areas such as the beach community of Cabo del Este, Puerto Los Cabos, San Jose del Cabo, the Tourist Corridor, Cabo San Lucas and the Tourist Corridor from Cabo San Lucas to Todos Santos. It leads one to believe these areas will experience dynamic real estate and commercial development over the short and medium term. The development could even signal the beginning of population concentrations that will see daily activities in smaller sectors and will eliminate the need for driving on a road that is becoming saturated with heavy traffic. Other destinations around the world have suffered this effect and Mexico is no exception. 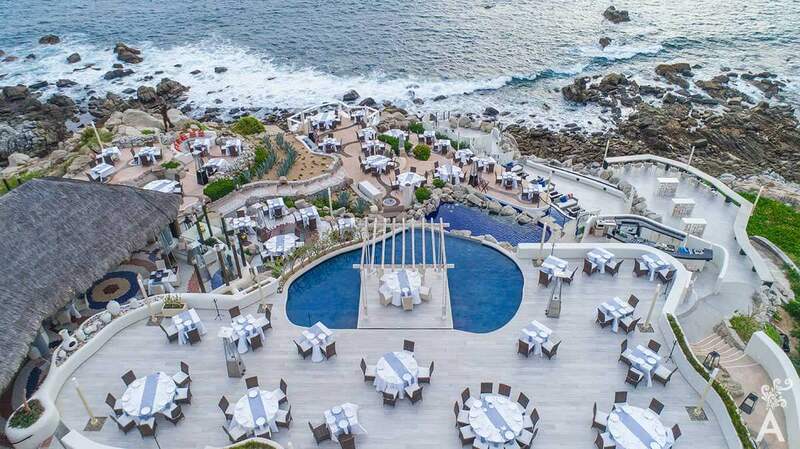 Los Cabos has remained a remote destination, but distances are beginning to be a topic that should be considered with great care in medium and long-term strategic planning. 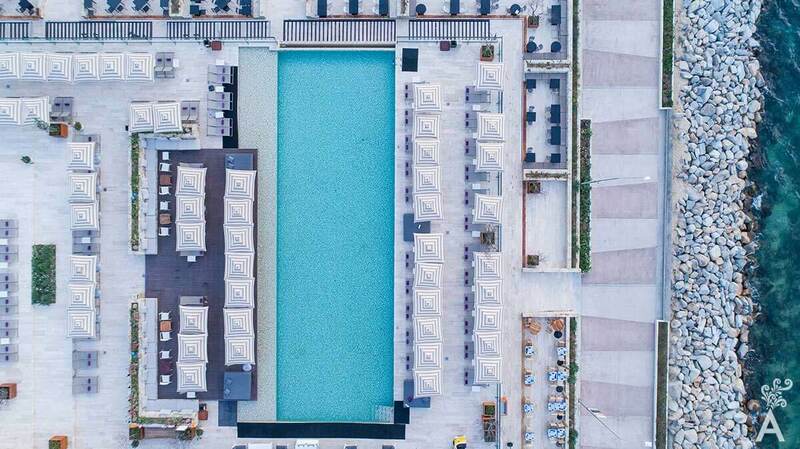 However, beauty is only one aspect of the magic we are talking about and part of the development of San José del Cabo and Cabo San Lucas as a single destination that grows day by day. In the past, we have focused on two areas that distinguish this tourist state: nature and business. The sun and beaches, golf and fishing, gastronomy and alternative tourism certainly stand out. Now, we offer you another reason to visit – remarkable, spectacular and diverse architecture. Join us and let yourself be surprised.